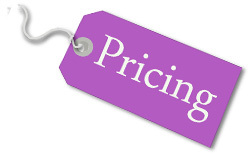 Pricing is not a mystery and there is no mystery about our pricing. We do not price by gimmick, “special offer” or other weary sales approach, but by true cost. Our charges are fully competitive, and representative, and we are no more expensive than those who promise “not to be beaten”, and where maintaining, and servicing, their infrastructure seems to be an objective in itself. What you will receive from us is true professionalism, at a price no more than the ordinary on “special offer” from others. “Service and honesty, not greed”, is our motto.